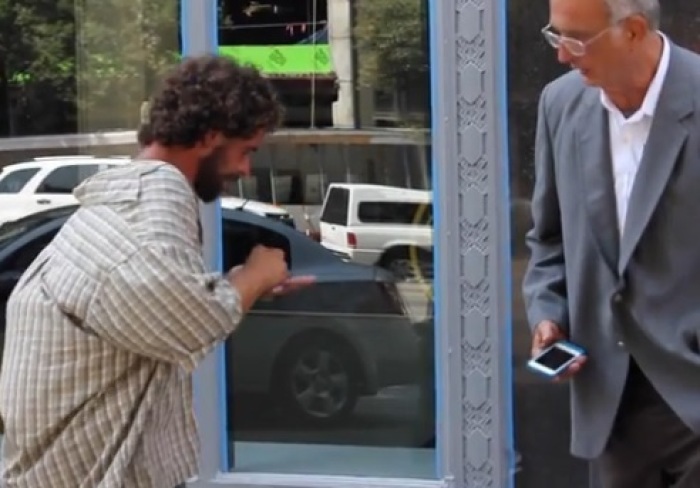 You Won't Believe How People Treated This Homeless Man, What One Man Does Will Warm Your Heart! The man being used in this homeless man experiment, Sandy, is actually a homeless man. He is used to the way people treat him every day. But, this time he decides to try something new. Sandy dresses up in a suit and suddenly people become very generous. What happens at 2:11 will warm your heart and give a totally new outlook on the way homeless people think. The giving heart of this man changes the whole vibe of this video. Although, when Sandy goes back to looking like a bum, not many people are generous toward him. This is a MUST SEE video that is guaranteed to change the way you think about homeless people!